Although most couples opt to have their weddings in warmer weather, winter weddings can be very elegant and appealing. This festive time of year embraces warmth and the glowing lights of candles. It’s a very romantic time that emphasizes the idea of togetherness. 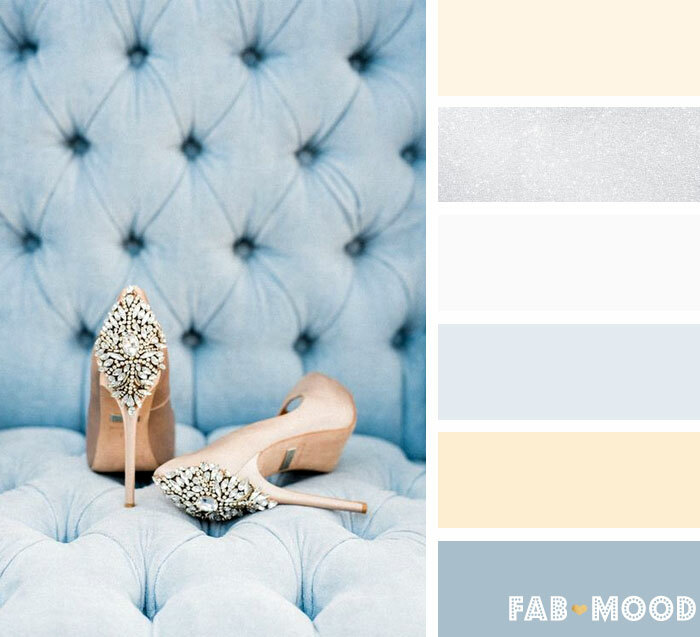 From bold reds and classic shades of blue to icy blue. 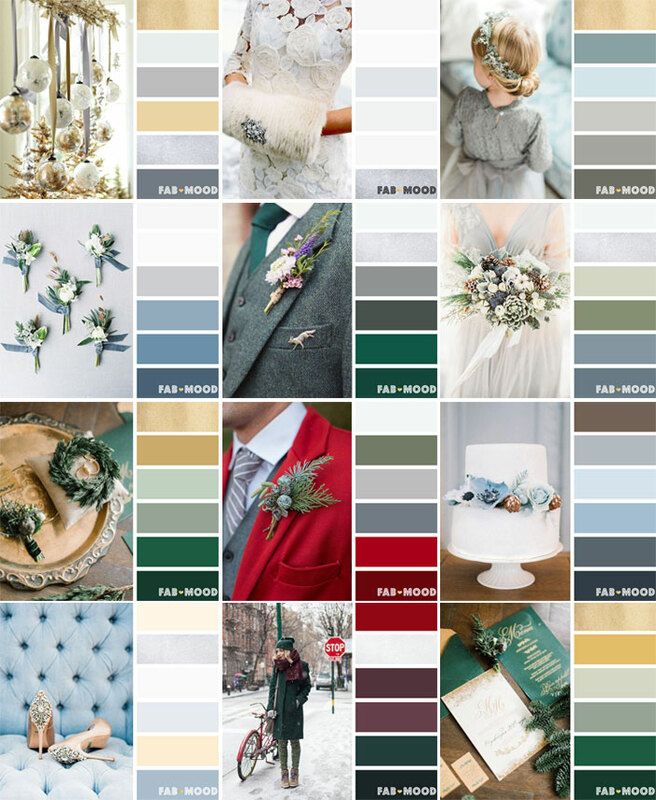 Here are 12 winter wedding color palette that we give you endless possibilities and color inspiration for your winter wedding. 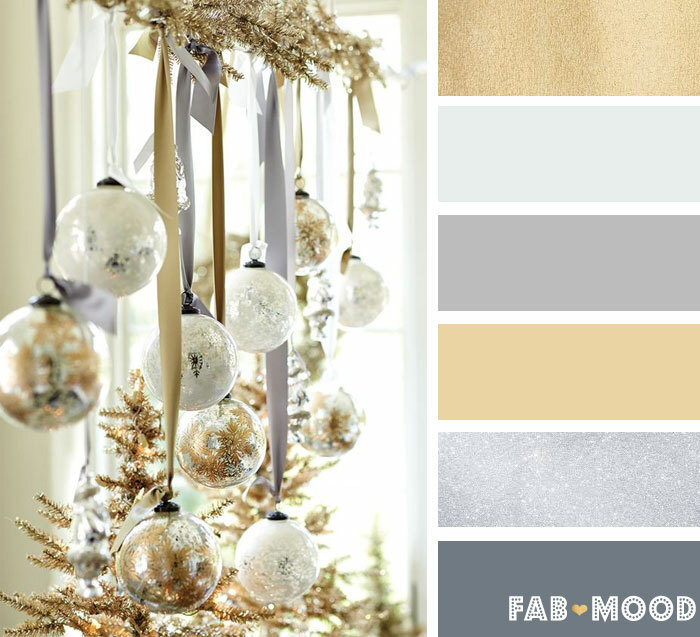 Silver and gold are very traditional winter colours. They blend very well together and can be beautifully incorporated into your wedding decorations. Consider a Christmas theme, use white or clear ,silver and gold ornaments as wedding decoration this will add drama and glamour to a wintry theme and look so festive. Instead of red roses, why not choose a bouquet of white roses? This will look especially spectacular if you have a hint of silver and/or gold in your wedding accessories. 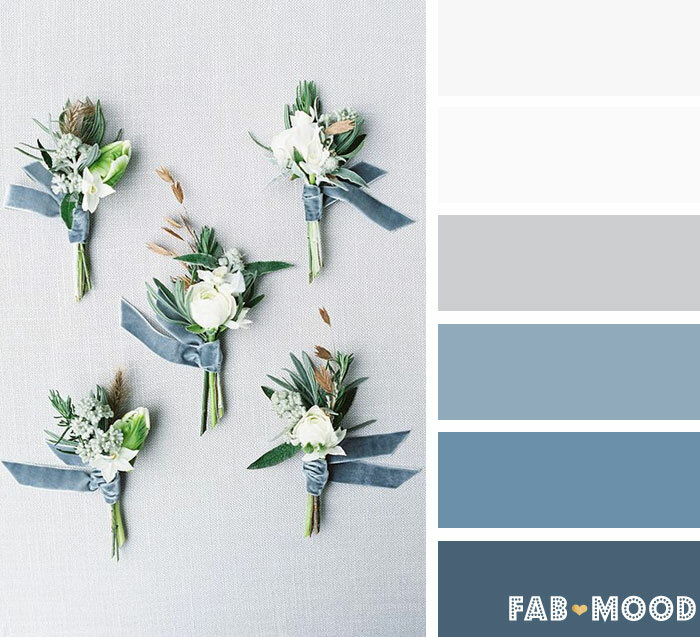 Dusty blues, grey, and wintery grey greens are such a natural grouping that we can’t help but love them together. Blue is a cool refreshing color option for your winter wedding as well. There are many blue tones that can be used to mimic the icy winter landscape. 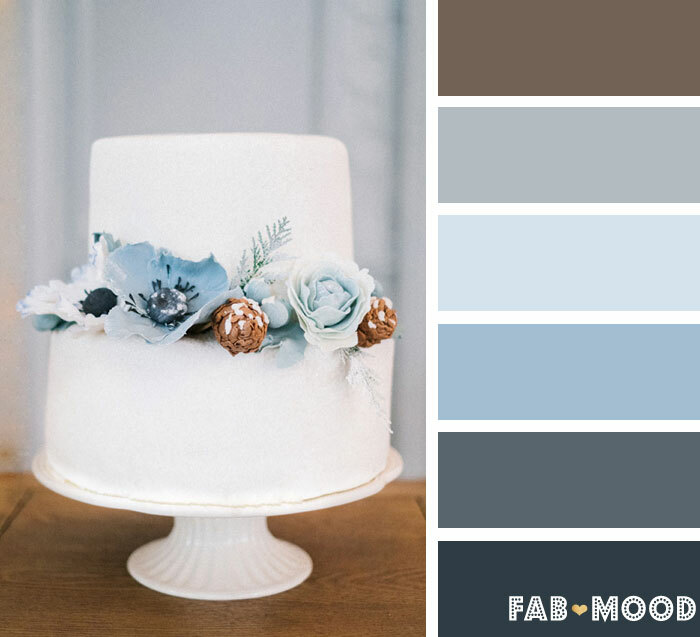 Cool shimmery blues and white are great winter colors that will instantly transport your guests to a winter wonderland. Peach palettes are usually chosen for spring and summer wedding; however, if you want to have a peach theme for your winter wedding, you can do that by selecting a soft peach to coordinate with icy blue color and silver to accent your wedding. This would give your guests the unexpected wedding theme. 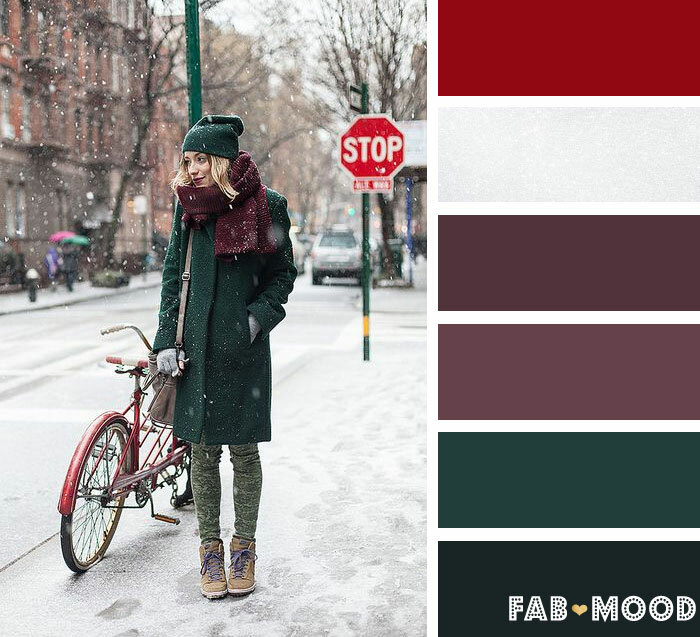 Christmasy reds and greens, and turn to Scandinavia for your inspiration. This would be a fantastic idea for a wedding in a very open venue, such as a restored barn, loft, or even a restaurant with double height ceilings. Bring in the winter vibe by decorating with pine boughs accented with dried herbs tied with check fabric in your signature Scandinavian colors. Silver and ultra-traditional all-white wedding is always appealing in the winter months, just as it is all year round. The silver adds that icy twinkle that something that only a winter celebration can have. 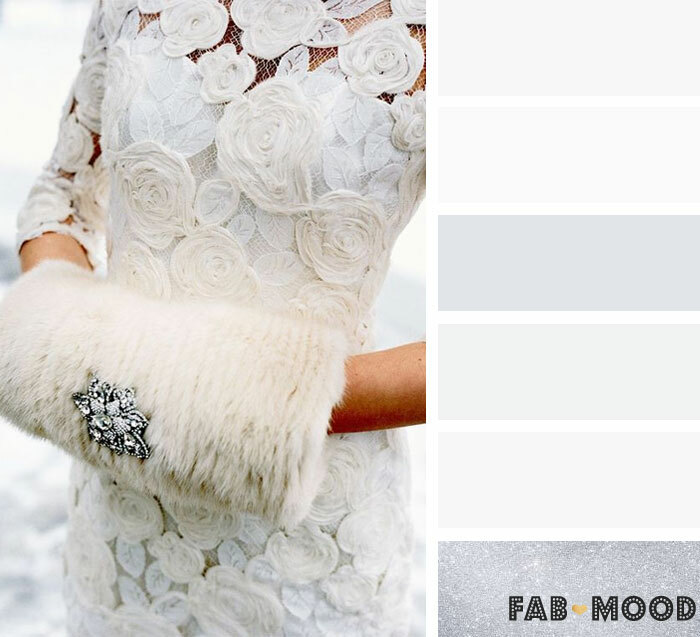 White can be used as part of a Winter Wonderland theme complete with snowflakes, or it can be used in a less seasonal fashion. 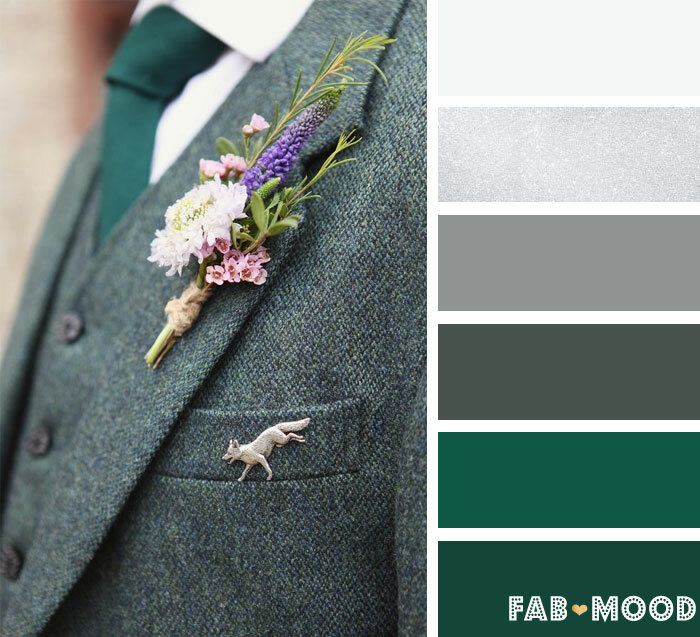 Deep plum and dark green would be a beautiful color palette for a winter wedding. It is an excellent alternative to either of the two usual approaches – Winter Wonderland white or holiday red. The richness of the plum and dark green are very much in keeping with the winter season, yet are far from what is expected. 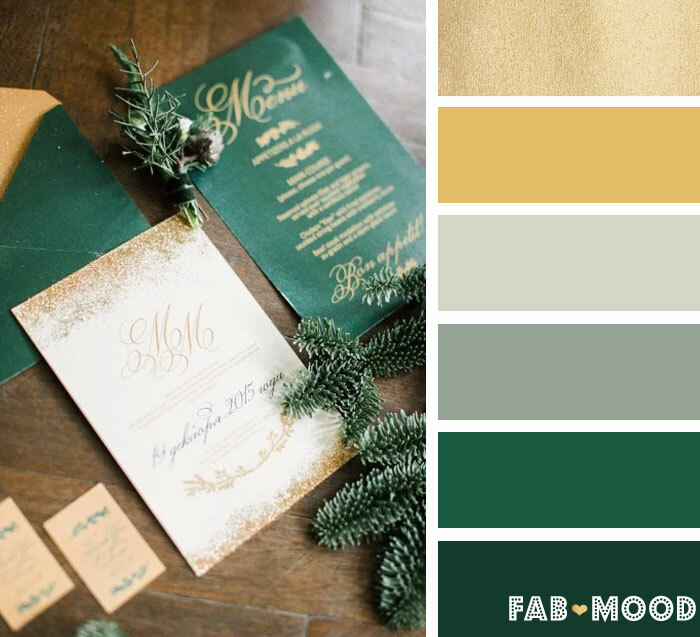 For a glamorous winter wedding, you might choose colors like emerald green and gold. 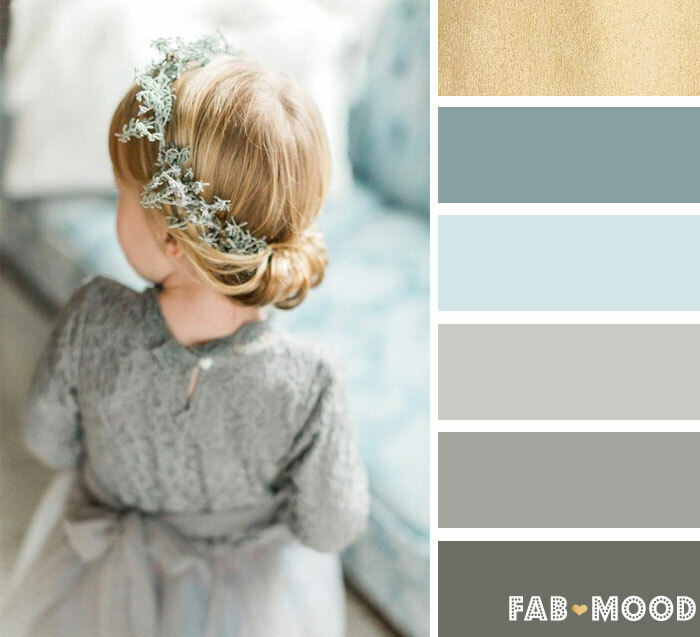 The simplicity of this color scheme will add elegance to the occasion without overdoing the colors. You might also choose some subtle holiday colors to enhance your day. 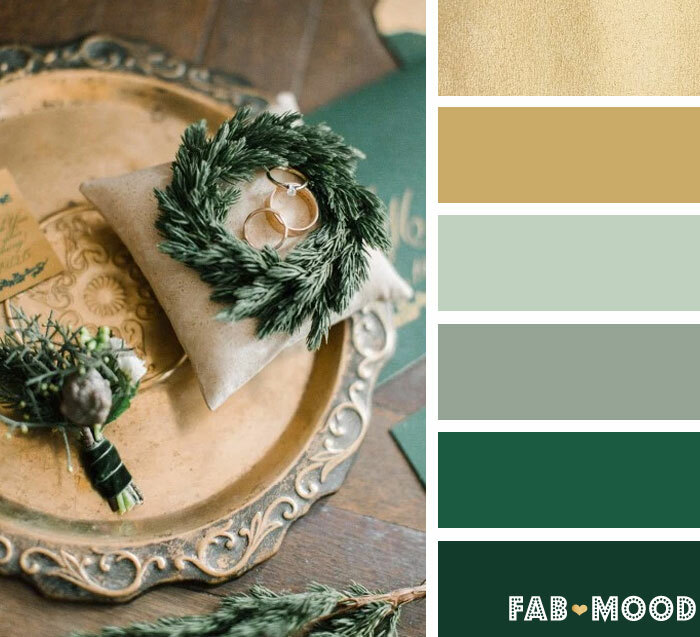 Antique gold and emerald green can create a unique and vintage look for your wedding. 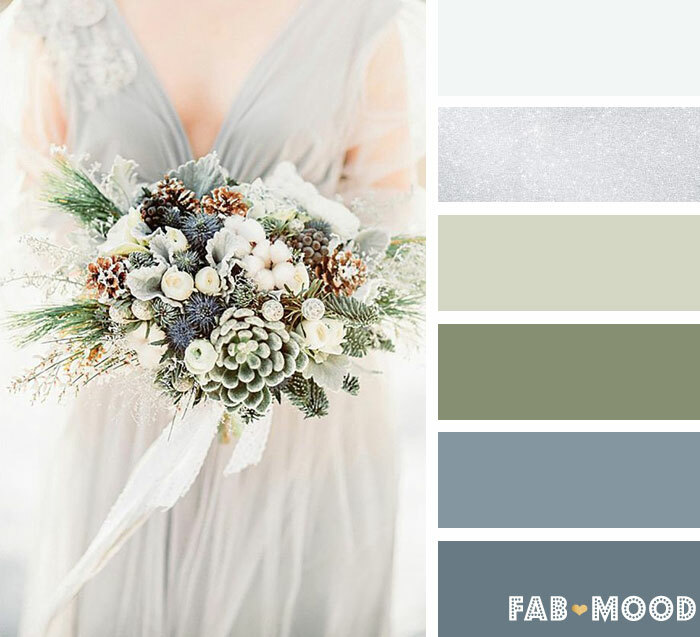 If you like a winter themed wedding that will sparkle, then this is the theme for you. A greyed jade + pine +silver white combination creates the perfect backdrop for any wedding. Plan your décor accordingly so that you have a complete and graceful look. Do not be afraid to think outside the box. 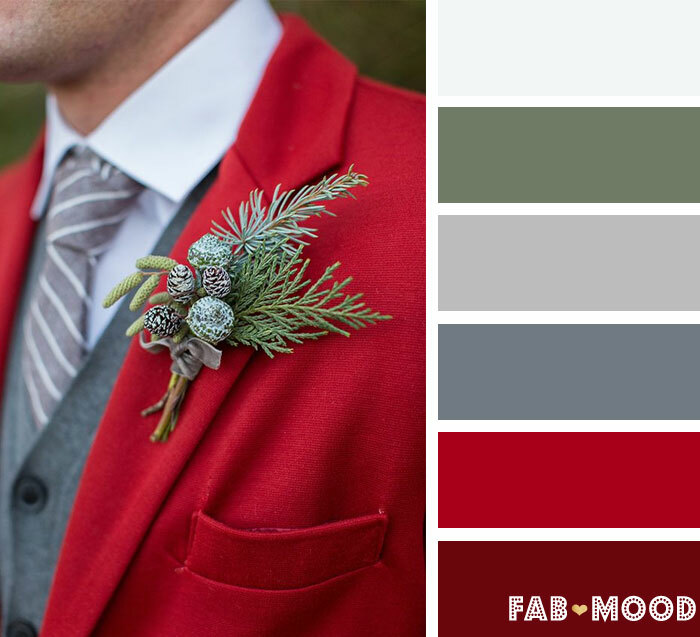 There are many color combinations that will create the perfect atmosphere for a winter wedding. The most important thing is that you and your partner like it. Which palette is your favorite?